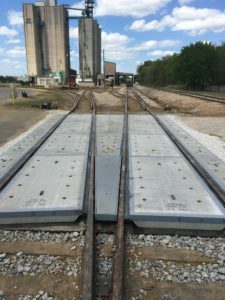 Omega custom designed and fabricated these lag down precast panels including a metal wedge section for a #8 switch at a lumber facility in NE Texas. 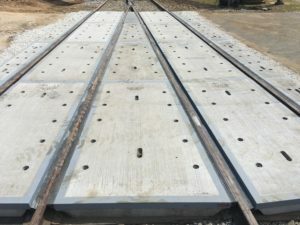 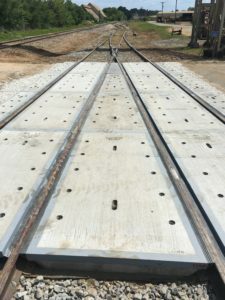 We worked closely with the railroad contractor in field measuring the track structure for an exact fit along with providing engineered layout drawings for tie centers, bill of material for ties and panel layout. 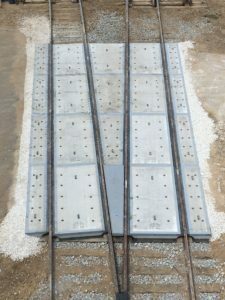 Omega also provided onsite technical assisted in the installation phase of the project.